Thread: What Yellow Am I???! Looks orange in that light. Is that the Shire in the distance? I’ll get your coat too! That is L469 anthracite yellow. 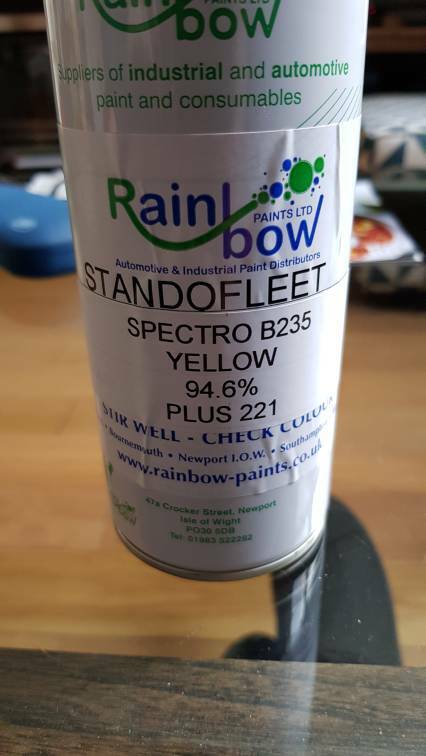 It's a VW code, go buy the paint from local suppliers with the code L469. You'll never get it to blend over that old paint, to get a decent match paint the whole van. would be pretty hard blending that. Took it to the local paint place yesterday and they got their scanning machine out. Got a couple of cans of this for touch up, will see how well it matches, but will be better than nothing! Finally found the bloody vehicle ID sticker with paint code - right at the back on the van, on the offside lower panel (behind the carpet board). It's LJ1B - rapeseed yellow! Still glad i've got the matched paint though - think the exact colour code would be too bright for the faded paint. Might come back up with a polish mate. Good call Tommo - I made this err a few years back and got a Toyota Red "match" @ a paint distributor ...... until I polished the van and found it be a lot darker than the original paprika red. A lesson learned.